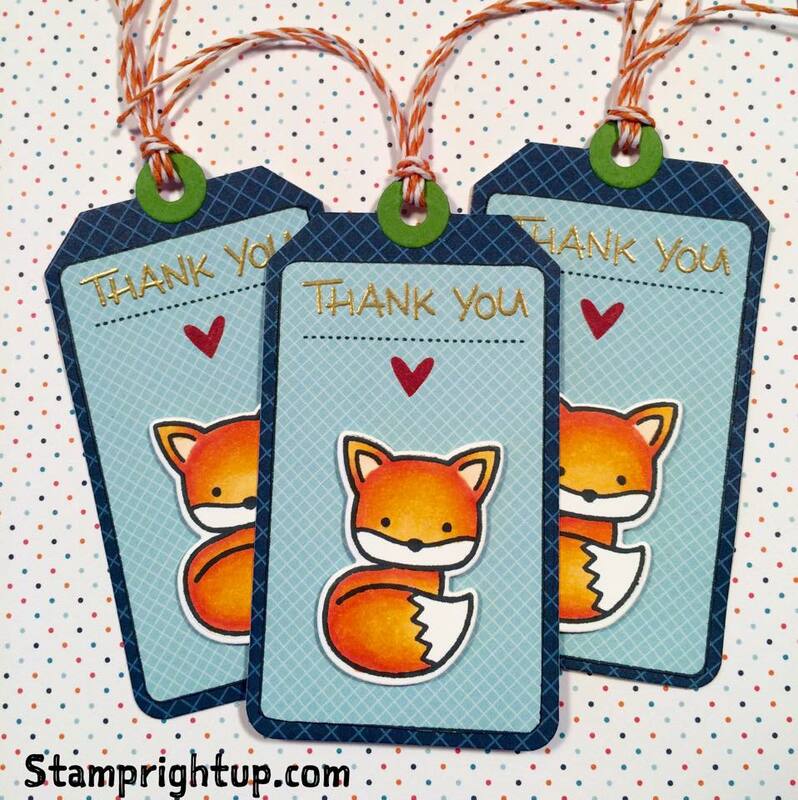 Lawn Fawn Thank You Tags with Into The Woods Fox | Stamp Right Up! I am super thankful each time I get an order from my online Etsy store whenever my cards are purchased. My handwriting is atrocious so I thought I would make thank you tags to include as a little something extra, and to say thank you for their purchase all in one! I will include a little something with each purchase going forward, so I came up with this project for the first few orders I had waiting. I am always trying to make the most of my Lawn Fawn stash, so for these I pulled out new, and previous release items. You can see a full list of all the supplies I used below & the links where you can find these super cute items. The tags were paper pieced with the new Beachside patterns 12×12 & 6×6 papers. The tangerine twine really brought out the oranges I used to color the fox with my spectrum noir markers as well.